If you have an emergency and require urgent assistance outside of our trading hours, you can email [email protected] and one of our consultants will attend to your email as soon as possible. Please note, this is only monitored for emergency travel situations and to assist clients who are travelling overseas at the time. If you have trouble finding on street parking on the surrounding streets, there are two car parks nearby that we recommend. 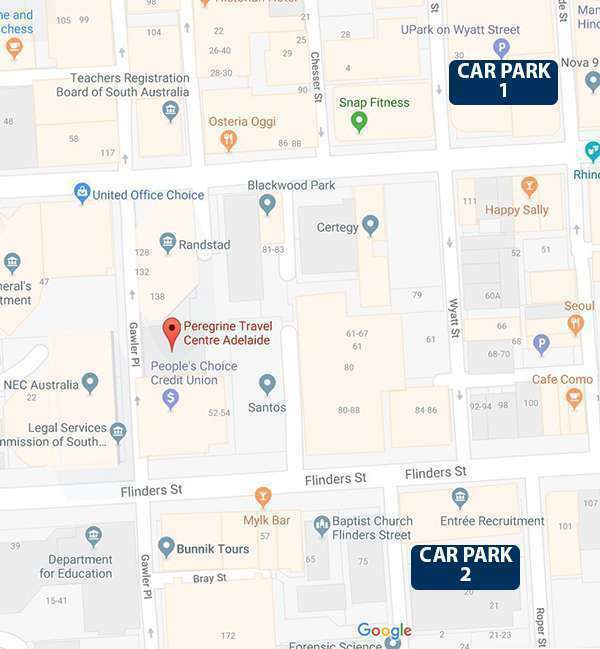 Car park 1 is on Wyatt Street(off Pirie st) and car park 2 on Roper Street (off Flinders St). Please see the map below for location.